It wouldn’t truly be a holiday without bringing home more things than you brought along. But all these goodies are must-finds during a visit to Brighton – transforming mere tourists into enlightened travellers. Here’s what you can’t leave the city without. No, not the novel by Graham Greene (but it probably wouldn’t hurt to pick that up too). No trip to the coast would be complete without the iconic seaside confection – a stick of rock. Nearly every shop worth its salt (or sugar) along Brighton’s seafront promenade offers rock, but the self-proclaimed ‘original’ Rock Shop on King’s Road is a good starting place. 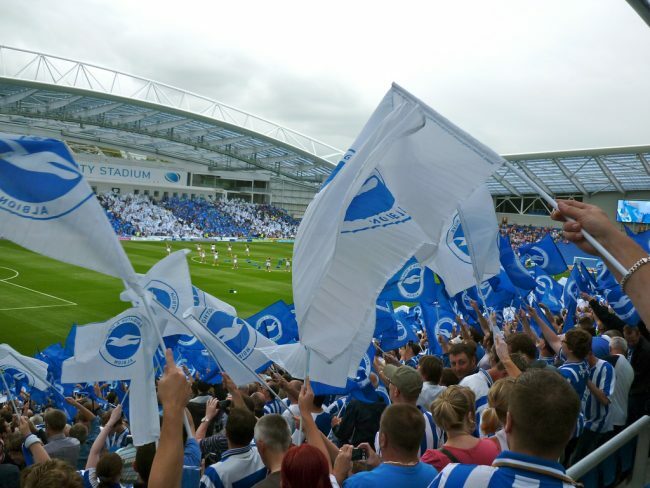 The locals are proud to offer you the chance to support their newly promoted Premiership team, the Brighton and Hove Albion. Head out to the American Express Community Stadium for a browse of the new season’s kit and pick up your lucky blue and white scarf, or whatever Seagulls specialty that takes your fancy. The seagull isn’t just the mascot for the football club – it’s the symbol of a new generation of Sussex craft breweries, including the prolific and tasty Brighton Bier. Served throughout the city’s pubs, there’s always more to take home. Check out Bison Beer Crafthouse and Trafalgar Wines for Brighton Bier’s South Coast IPA, or a Cyclops Eyedrops to bring home to remember the taste of the beach. 100% organic and 100% Brighton, this gin is hand-bottled and sealed with a candy-coloured wax. It’s the perfect token of a lost weekend which has the added bonus of helping you keep on losing them. Sold around town, but best imbibed with something fresh from hiSbe to keep the cobwebs from taking hold. Enjoy with a stick of rock for a true Brighton experience. Brighton’s thriving arts scene and sea-reflected light makes it an artist’s haven, and many have set up shop with a view of the shining water along the promenade next to Palace Pier. This so-called Artist Quarter is a sight to behold – as are their works. Take home a unique piece of the Sussex landscape or wildlife by artists like Heidi Langridge or prints from Two Kats and a Cow. Two of Brighton’s most famous residents, Nick Cave and Fatboy Slim, could be found around town with a bit of searching, but their life’s work is far easier to carry in an overnight bag. 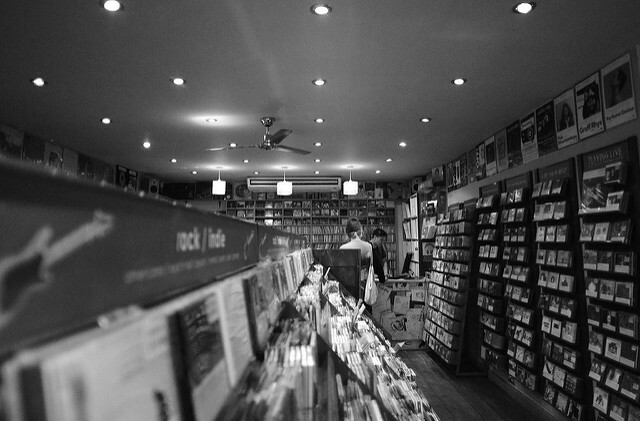 A sterling example of a modern record store, Resident in the North Laine is a solid bet for hours of browsing and at the end, you could take Nick, Fatboy and many others home with you.